Given the status of Manchester United in the world of football, playing them at any level is special, but playing them at home in the Premier League and being touted by many as favourites to win isn’t something that die hard Swans fans are used too. But such is the journey that little old Swansea have been on in the Premier League to date, that last season’s double over the Red Devils, coupled with an impressive start to this season mean that both teams – whom are currently unbeaten in the league – clash at the Liberty in what is a mouth-watering, even matched game – rather than the usual david versus goliath billing. It’s hard to believe that the Swans have won three out of the last four meetings between the sides in all competitions and with Louis van Gaal celebrating his 50th game in charge of the Red Devils on Sunday, what better time to continue that winning streak! The Swans performances to date, depsite last week’s failure to beat Sunderland, have been high quality and have illustrated the sort of attacking intent that will cause problems for most teams this season, regardless of their stature. In terms of the Swans team, they will have learnt little they didn’t already know in Tuesday’s comfortable win over York City and with Ki having come through unscathed, expect him to return to the starting line-up instead of Jack Cork. There is little doubt that United have improved from last season’s showing and given the amount of money they have spent in the transfer market, you’d have expected it but let’s not forget, that this current United team is poor when compared to teams of old under the stewardship of Sir Alex Ferguson. Teams no longer fear United like they used too and as such are prepared to give it a go rather than stick everyone behind the ball to defend. 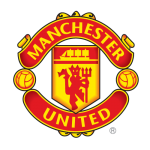 The Red Devils will be bouyed by they 4 nil drubbing of Club Brugge in midweek and of course Wayne Rooney finding his scoring touch again with a hat-trick will boost their confidence further. A mean defence which has allowed only 5 shots on target in their first three Premier League outings to date will ensure that the Swans face a far sterner test that last season. It all makes for a fascinating contest between two evenly matched sides (on the field!) despite pundits such as Paul Merson and Mark Lawrenson backing the Swans to win! Swansea keep the ball. I make them favourites and for some reason they are not, they’re big outsiders for this football match with the bookies. I make this heads or tails, and I’ll go with the heads of Swansea. I am going to go for a Swans’ win here too. Defensively, United have been really good so far and that is one of their strengths but I think the Welsh side have got the tools to beat them. Fabianski, Naughton, Fernandez, Williams (Capt), Taylor, Ki, Shelvey, Ayew, Sigurdsson, Montero, Gomis. Those of you who fancy a flutter might want to check out the odds being offered on the game at the moment. Sky Bet are offering some interesting bets on Bafetimbi Gomis (who has scored 8 goals in the last 9 matches!) to Score and Swansea to Win in 90 Mins at 6/1 and Jonjo Shelvey to score first for the Swans at 14/1. Despite a quiet (by his standards) start to the season, I’m putting my money on Gylfi Sigurdsson to score from outside the penalty area at 7/1. If you’ve not got a Sky Bet account, they are currently offering a FREE £20 when you bet just £5.